EVANSTON, Ill. (AP) — Lamar Stevens scored 18 points and Penn State beat Northwestern 59-52 to snap an eight-game losing streak on Monday night. The Nittany Lions (8-14, 1-10) picked up their first Big Ten win and stopped their longest skid since a 14-game streak during the 2012-13 season. They made just enough stops down the stretch to send the Wildcats (12-10, 3-8) to their third straight loss. Stevens had seven rebounds and six assists. Rasir Bolton added 14 points, though he shot just 3 of 14, and the Nittany Lions won despite struggling from the floor and the foul line. They made just one field goal over the final five minutes. They hit 3 of 15 3-pointers in the game and were 16 of 26 on free throws. Seeking their first win since a lopsided victory over UMBC on Dec. 29, the Nittany Lions led 45-37 midway through the second half after six-point spurt. Pardon woke up the crowd when he soared in for tip-in dunk off a miss by A.J. Turner before Law nailed a 3 to make it a three-point game. Miller Kopp cut it to 47-45 when he connected from beyond the arc with just over seven minutes remaining. But in one ugly stretch, the Wildcats’ Law shot a long airball on a 3, Kopp shot another one on a runner and Turner lost the ball going for a fast-break layup after a steal. Law also missed the front end of a 1-and-1 with Penn State leading 53-47 with 4:16 remaining. He also had a layup blocked by Stevens with just under three minutes left and the Nittany Lions leading by four. Penn State: The Nittany Lions will take the win despite their shooting struggles. Northwestern: The Wildcats’ postseason hopes took a big hit with a loss to the conference’s last-place team. 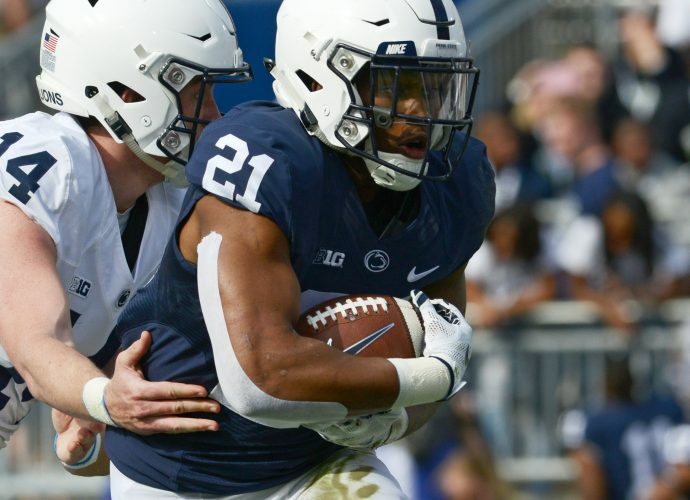 Purdue: The Nittany Lions will try to make it back-to-back wins when they visit Ohio State on Thursday. Northwestern: The Wildcats will try to get back to winning when they visit Iowa on Sunday. Northwestern lost to the Hawkeyes 73-63 on Jan. 9.